Crowds of the city residents walked from dusk till dawn. Some would wander around with no clear destination in mind. If one of them was too tired, they were not able to rest, for the Khmer Rouge troops were chasing behind them and forcing them to continue onward. Whenever night fell, people would rest by the roadside. Many dead bodies lay on both sides of the road and corpses would float upward in ponds, lakes and water canals. Due to the severe drought and corpses floating in what little water sources were left, finding drinking water was extremely difficult. Currently working as a photojournalist for the European Pressphoto Agency (EPA), his work is often seen on the international news wires. His 2005 fine art photography exhibition, titled after a traditional Khmer proverb: “When the water rises, the fish eats the ant; when the water recedes, the ant eats the fish”, was shown in Phnom Penh galleries like Popil and Java, as well as at the Angkor Photo Festival. Born in 1970, Remissa and his family were moved from Phnom Penh five years later by the Khmer Rouge and relocated in Takeo province. In 1995, he graduated in Fine Art and Photography at the Royal Fine Arts School in Phnom Penh, and his work soon appeared in numerous publications such as Cambodge Soir and the Phnom Penh Post. He has also worked for Reuters and other organisations. 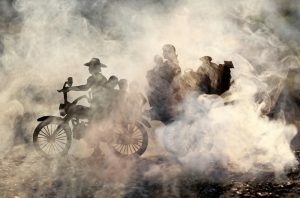 Remissa has exhibited his fine art photography in Cambodia, France, Canada and the US, and after spending a few years in Canada, he has returned to live and record events in the country of his birth. Seven pieces of Remissa’s «Fish And Ants» work was recently made part of the Singapore Art Museum’s permanent collection. Mak Remissa exhibition «Water is Life» was exposed in Hotel De La Paix in Siem Reap, during Angkor Photo Festival 2011 in a exhibition sponsored by AIR France. 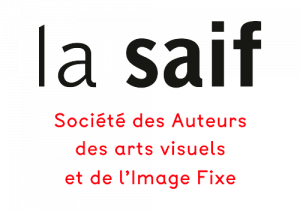 It was exposed at the Institut Français de Birmanie at Yangon Photo Festival 2012, at «Ruptures and Revival:Cambodian Photography in the Last Decade» in Singapore in March 2012 and at the Xishuangbanna Festival 2014 in China. Further more Mak Remissa’s «Fish And Ants» was exposed in GETXOPHOTO festival in 2014 in Spain, and in the «Life Being, Earth Being», a group exhibition showing work of Hajime Kimura/Andrea Star Reese/Abir Abdullah/Remissa Mak/Zalmai, in the Theory of Clouds Gallery in Kobe, Japan in 2013. Finally «Left 3 Days» was exposed at The French Cultural Centre in Phnom Penh, during PhotoPhnomPenh 2015. Mak Remissa has been a member of Asia Motion since 2010.